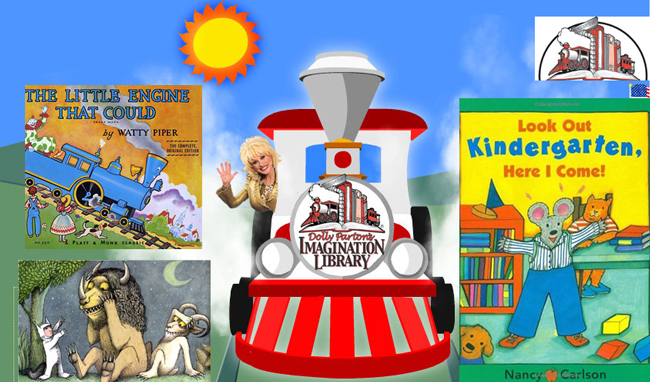 Through the popular Imagination Library program created by Dolly Parton in 1995, children receive a FREE book in the mail every month from birth until their 5th birthday. There are currently more than 1,700 children across Avery, Mitchell, and Yancey counties who receive books each month. The books are mailed out by the Dollywood Foundation and arrive in your mailbox. Sign up today and your child will start receiving new books next month! Sign up your child to receive FREE books! Working with the Dollywood Foundation, the Blue Ridge Partnership for Children pays $30 per child each year for books & shipping costs. The books are funded by generous local donors, private grants, Smart Start funds, and state funds. Blue Ridge Partnership holds several fundraisers each year, including the always popular Taste of the Blue Ridge to raise money to support reading & literacy skills in all three counties. There is no cost to parents for the books & delivery by US Mail. The Dollywood Foundation sends books to a million children each month, and has mailed out nearly 100 million books in the last 20 years. There are over 1,600 local communities across America, Canada & the United Kingdom who take part in Imagination Library. Children who take part in Imagination Library receive up to 60 books by their fifth birthday. It’s a great way to increase a child’s literacy skills and help in their development during the all-important First 2000 Days. 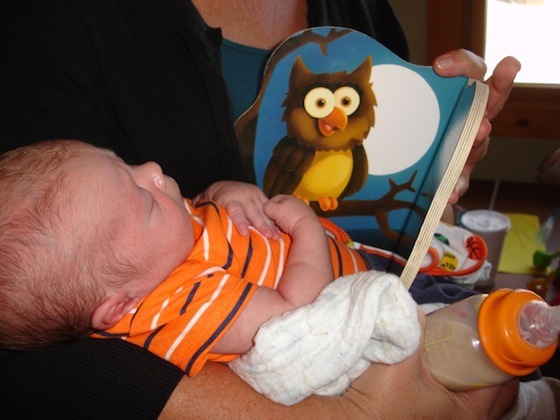 Reading to kids increases their learning skills & development, and strengthens family bonds. The books are age-appropriate for children as they grow and develop from infant to child, and begin kindergarten. Books help spur children’s imaginations, curiosity and literacy skills. And many of the books are handed down to younger brothers, sisters & cousins. $30 for 1 child, 1 year. 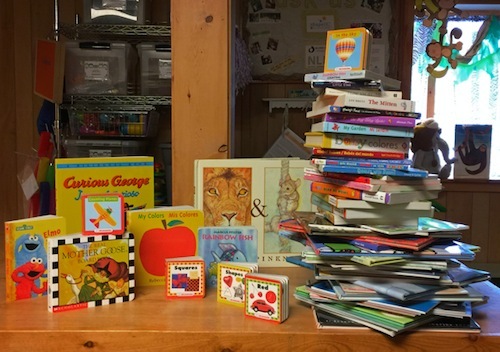 By 2016, the Blue Ridge Partnership for Children had sponsored one hundred thousand books to be delivered to children in Avery, Mitchell and Yancey counties through the Imagination Library! The recipient of the 100,000th book was recognized with a red wagon full of books, toys & games to celebrate the achievement. Blue Ridge Partnership for Children extends sincere & heartfelt appreciation to Dolly Parton, the Dollywood Foundation, and all the wonderful donors who bought books for children in Avery, Mitchell & Yancey counties.